I am sure you have browsed some websites a couple of times in search for the best templates that you can use to write a status report. You must have learned from your search that there are sites outside that from which you can access templates of different styles, design as well as quality. And these sites are countless. There is a problem though. Browsing through these website pages could take you lots of time, and money in the case where you are using paid internet at the cyber. You can also see Weekly Status Report Template. 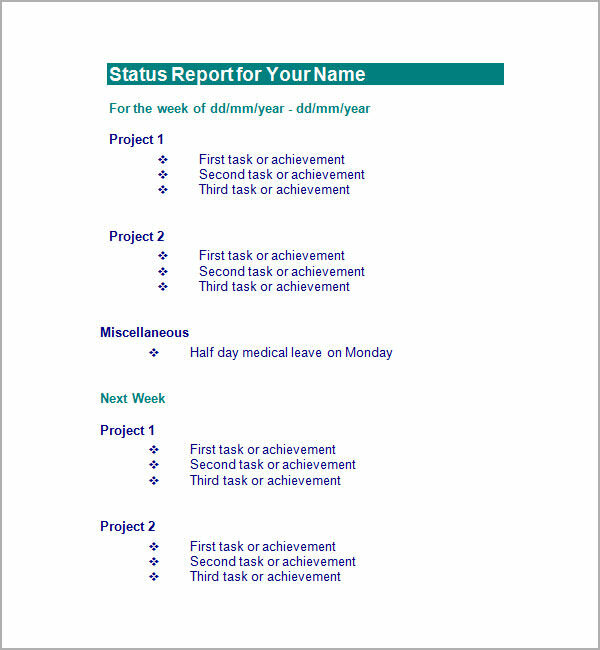 Weekly status report template as the name suggests is a template which follows a weekly format. Hence the columns are divided week-wise. 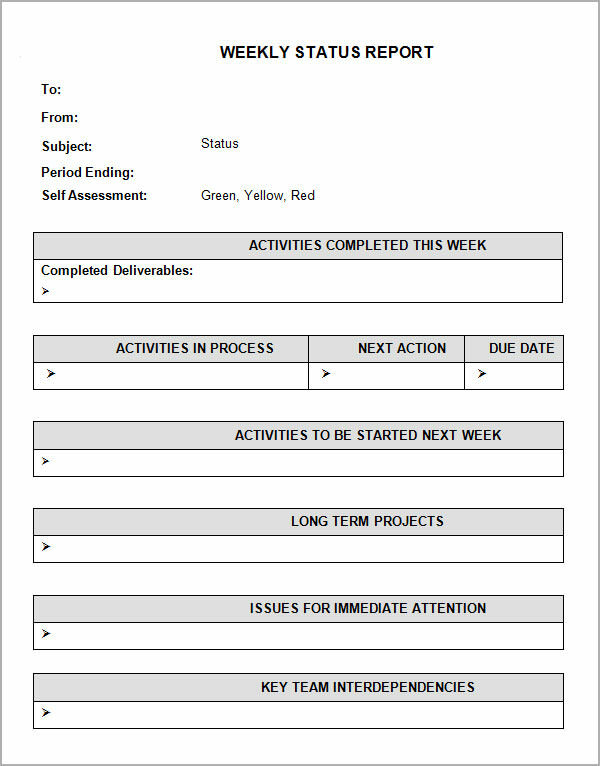 The most interesting feature is the self assessment column with three different colors marking if the status’ report with colors denoting poor, moderate and excellent. This template is available online for free. And the template is available in various formats like Word, PDF, etc. 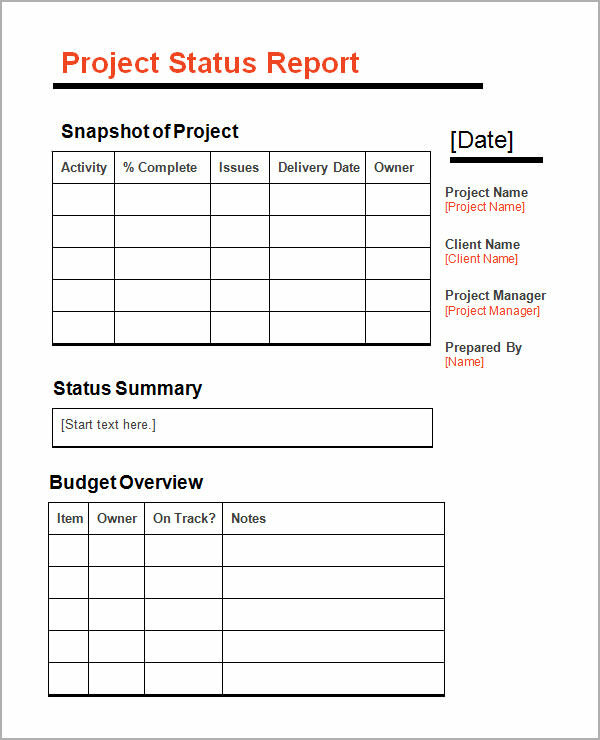 Status report sample template is a great template that can be accessed online for free. This template is the best amongst all the templates because it’s well designed. The template along with the color policy also mentions a milestone box which marks the milestones achieved till date. 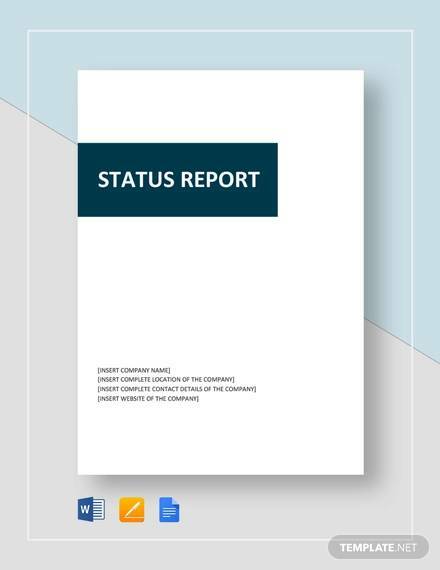 This interesting status report format is available free online and in many formats. 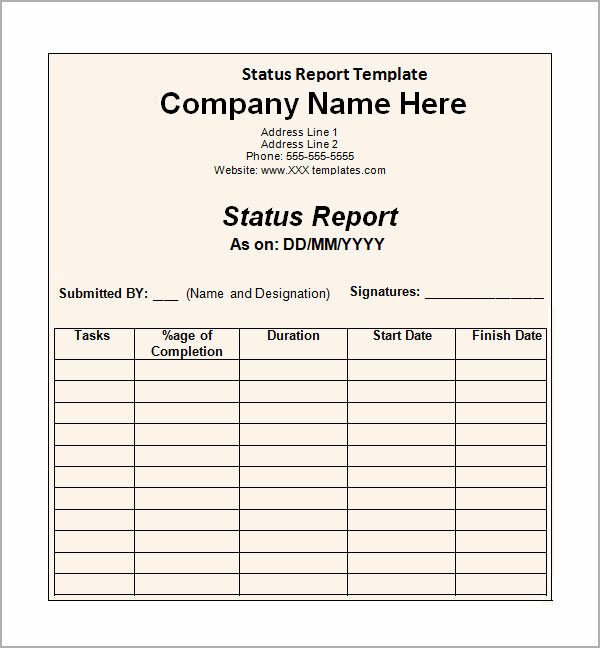 Status report format template is an effective format of a status report. This template is well made because it’s simplistic. 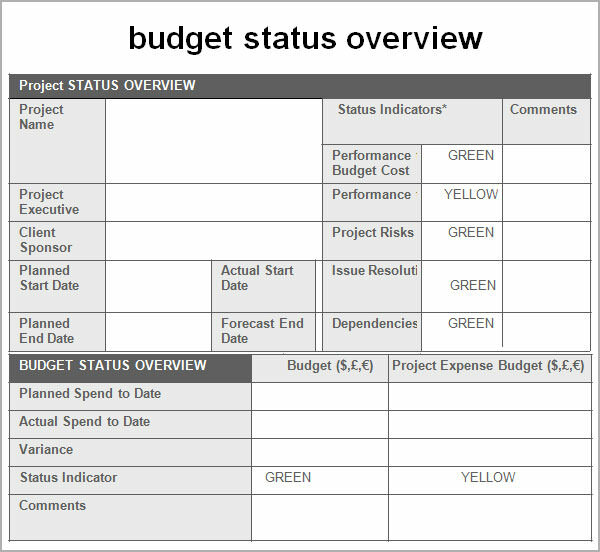 Designed in a tabular format, this status report has simple columns like tasks, percentage completed, and duration, start state and finish date. So the template is a comprehensive one as compared to other templates. The template is available online for free downloads. 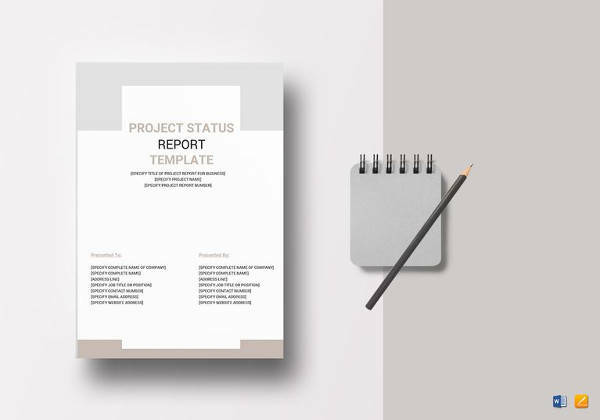 A proper format in a status report is eye catching; hence this Status report template is completely eye-catching. Available in excel format, the template is made in a tabular format. The tables are well divided with columns headed Project, Heading, Date Completed and Notes. This template is easily downloadable and that too for free. Why Do You Need a Status Report Template? You are often in a dilemma when your boss demands a well written report of the current projects. If you have issues with the boss, which most of us have, and then he would nitpick a fault from your status report. So, in short, you cannot compromise with its quality. 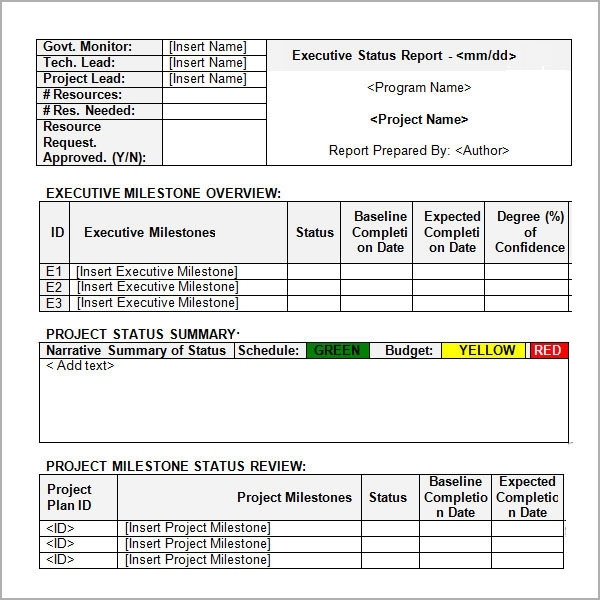 A good status report template is well written, well documented piece of document that you can utilize in times of need. When Do You Need a Status Report Template? You would need a status report when you undertake a new project, or your company engages in a contract with a new associate, etc. 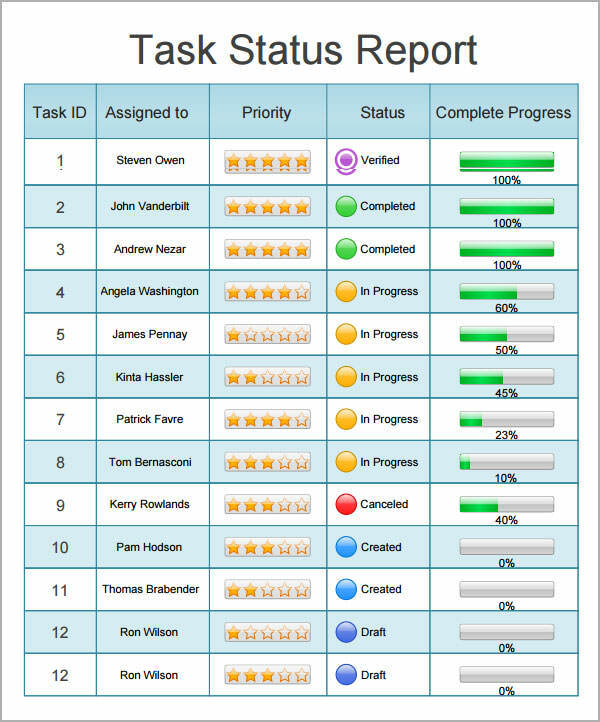 And for official purposes you need a good collection of status report templates from which you can choose the best one. But how do you judge a good status report? 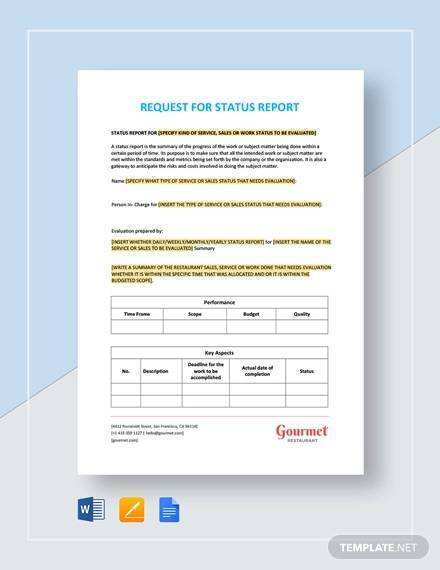 A good Status Report is one such document which uses formal language and follows a proper format during documentation.You can also see Payroll Report Templates. What does one look in a status report? You look for the format, the outlay, the comprehensiveness and the usage of English. With these quantities of status report templates you will find each one satisfactory and would be more than happy with these templates. These templates are well-formulated and are available for professionals for a free usage. The template can be downloaded in various formats like PDF, Excel, and Word amongst others. But what would you do if you had a way you could access only high quality status report templates all from one page? You would feel relaxed and have a sense of accomplishment, which is why you can actually find the best templates for your status report from this page. Here, we have compiled and outlined some of the best templates that you can download and use free any time you want to write a status report. The free sample templates available for download and print here are great for your next project really. You can download and use them as is or customize them to suit your taste and appearance preference before using them for your status report writing.You can also see Case Report Templates.